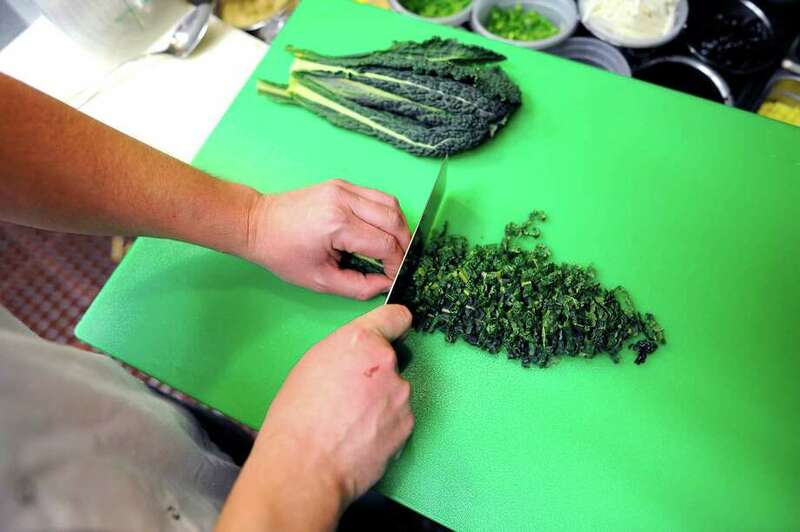 How sanitary are the kitchens of Fairfield's 300 food establishments? The town's health department conducts regular inspections to protect the public. That didn't happen in George Washington's day. At the dawn of the 21st century, forces beyond our understanding caused Fairfield to evolve into quite the restaurant town. Standard American comfort food was always available around town, but with a few notable exceptions, an ethnic adventure or a gourmet-level dining experience meant a road trip to faraway places like the Black Rock section of Bridgeport, Westport, SoNo or New Haven. No more. As of this writing, Fairfield licenses well over 300 restaurants, spanning a broad culinary spectrum. We still haven't maxed out on pizza places and burger joints, but these days you can sample an increasing variety of world cuisines or have that special-occasion meal without leaving town. And the word is out: Fairfield is becoming a dining destination for out-of-towners. Our gastronomic roots are deep but humble. What colonial Fairfield had to offer were taverns -- roadhouses along the Boston Post Road. Perhaps the best known is the Sun Tavern, still standing on the Town Green, credited with hosting President George Washington. For travelers who had no family or friends in the area, the taverns provided the food and shelter of last resort. Your bed was often shared with a stranger. The daily fare -- usually inferior but occasionally mediocre -- was typically served family-style at long tables. The main attractions of tavern stays were the alcoholic beverages and conversation with fellow travelers. The meals themselves could charitably pass for "comfort food," as long as you didn't spend the night in the privy. An inherent risk of tavern dining was the danger of food-borne illness. Travelers were at the mercy of the tavern keeper when it came to the particulars of food acquisition, storage and preparation. There is no evidence that President Washington suffered any gastrointestinal complications from his reputed stay at the Sun Tavern; otherwise, we'd be forced to add an undignified verb or two to "George Washington Slept Here." Eighteenth century taverns functioned in an unregulated, free market ... which leads us to consider the status of those 300 or so present-day descendents of the Sun Tavern, to which we flock on a daily basis to enjoy a meal. Let's say you're somewhere downtown, about to tuck into a glistening salmon filet, a lovely side of roasted vegetables slightly crisped at the edges, and a savory sauce making a squiggly trail around the plate. The transaction between you and the restaurant carries a level of implied trust that goes well beyond what you will pay for that salmon entree and how it tastes. The unspoken but crucial further expectation is that the meal you are about to eat will not cause you to be sickened or die. Enter the Fairfield Department of Health. In addition to its other responsibilities (school nurse services, septic system inspections, mass immunizations, public health education, well child clinics, to name a few), the health department deploys its four sanitarians to license and systematically monitor Fairfield's food establishments. In a typical year, they conduct more than 1,000 such inspections. Before your food is set before you, it has been purchased, received, stored, prepared, cooked and then, in many cases, held, cooled, and/or reheated. Suboptimal handling at any stage can result in contaminated food. Evaluating the price and desirability of a restaurant's food is squarely up to you, but commercial kitchens are nothing like your kitchen at home. You need experts to ensure that your meal is safe to eat. Depending on the complexity of the establishment's food preparation, DOH sanitarians inspect each restaurant one to four times annually, and more often if problems arise. As a Board of Health member I have tagged along on a few of these unannounced inspections. The tone is collegial, but nothing escapes the sanitarian's practiced eye during the walk-around lasting about an hour, which formally covers about 60 specific items. Is there enough hand washing going on, and with proper technique? Are gloves being used when appropriate? Where is raw food stored in relation to ready-to-eat food? Are hot and cold foods held at their proper temperatures, and for how long before being discarded? Are utensils used for raw food not used for food being cooked? Are chemicals stored separately and safely? What's the temperature in the dishwasher? Is hand-washed equipment properly cleaned, rinsed, sanitized, dried, and stored? Are correct garbage and waste water disposal procedures being followed? How often do you train your food handlers? What's your policy for sick workers? And by the way, is the grout between your floor tiles in good condition, and not a hiding place for pathogens? The health department is involved in a restaurant even before it opens. It reviews blueprints to check on work flow, adequacy of equipment and storage, waste disposal, wall and floor materials, ventilation and plumbing. Most restaurants in town handle food responsibly, and most inspections serve to fine-tune their operations. But take note, taxpayers: In the aftermath of Hurricane Sandy, several Fairfield restaurants -- several -- were about to use clearly unsafe food to prepare meals to sell to you, and were it not for the diligence and authority of our sanitarians, would have done so, department officials said. Even in the near-chaos of a busy restaurant kitchen, most managers and line chefs take their food safety responsibilities seriously. But I, for one, am glad that the health department stops by every so often. My thanks to Director Sands Cleary, Robert Guerrera, Jonathan Oldham, Kenneth Rubano, and Amy Lehaney, for background information and for their service to the town. Ron Blumenfeld is a Fairfield writer and retired pediatrician. His "Moving Forward, Looking Back" appears every other Wednesday. He can be reached at: rblumen2@gmail.com.